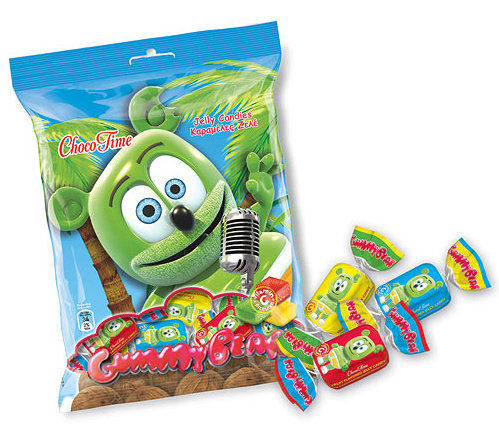 Greek Gummibär Jelly Candies - Gummybear International Inc.
Each 200 gram bag of candy contains 18 pieces in assorted flavors. Each piece has only 34 calories and contains 5% of the RDA for Vitamin C. Contains no gelatin, making these candies vegetarian safe. *Ingredients as listed on the packaging are: Sugar – Glucose Syrup; Gelling Agent – Pectin; Acidifier – Malic Acid, Natural Identical Flavors, L Ascorbic Acid; Colors – Anthocyannins, Curcumin, Copper Chlorophyllin.